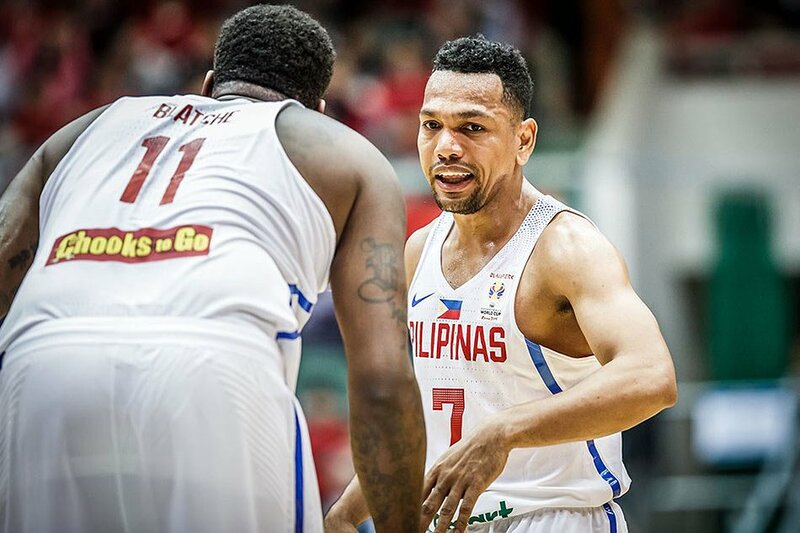 MANILA, Philippines – Despite the slow start, Gilas Pilipinas still clobbered Chinese Taipei in its home turf, 93-71 on Friday, June 29, 2018 and about to face Asian powerhouse team Australia 3 days from now. It’s been couple of weeks since the national team re-assembled for the FIBA World Cup Asian Qualifiers’ third window and it’s not that easy to play overseas without enough practice and less conditioning. The opening period of Gilas Pilipinas against the very familiar Asian rival, Chinese Taipei, was rough as the nationals seemed rusty and trailed the home team in the entire quarter. Nevertheless, Gilas found themselves behind Taipei by just 3, 19-16. Lu Cheng Ju had been a real threat from the outside and was a huge factor in Taipei’s tremendous scoring run. The home team escalated its lead to 9 with barely 2 minutes gone by in the 2nd quarter. Naturalized Filipino, Andray Blatche peaked-up his defense to counter Taipei’s scoring surge. Blatche’s defensive stops paid off as his teammates revved-up their offense to tie the game with more than 3 minutes left in the second. The mighty Gilas guards outran their Taiwanese opponents and became instrumental in Philippines’ scoring blitz in the dying minutes of the 2nd period. Jason Castro William alone had registered 9 points while his big man, Andray Blatche had 9 markers too. At the end of the 1st half, Gilas boys had finally found their rhythm and topped Taipei with 7 points, 44-37. Lucky break for Philippines at the beginning of the 3rd period as Cheng Wen Ting committed his 4th personal foul that paved way for June Mar Fajardo to own the shaded area. Gilas’ lead had gone up, 60-47. “The Kraken” continued to dominate under the basket and outscored his window 2 performance against the same team. Fajardo jotted down 18 points with 1 more quarter to go and led his team with 68-60 advantage over Chinese Taipei as the final canto approached. Matthew Wright and Terrence Romeo started the 4th quarter from the 3-point territory to bring the lead back to double figures. Both Jason Castro William and Andray Blatche had 3 personals but it didn’t stop Gilas in holding its ground and maintaining the lead for a very long time. At the 2-minute warning of the game, Philippines’ margin was 20. Coach Chot Reyes knew that victory was in Gilas’ hands as he pulled out his star players and fielded in his reserves spearheaded by Allein Maliksi. As the final buzzer sounded, Gilas Pilipinas posted another convincing win against Chinese Taipei, 93-71 and now ready to face the regional powerhouse Australia on Monday, July 2, 2018 at the Philippine Arena. Australia who has NBA stars Matthew Dellavedova and Thon Maker on its lineup played Japan earlier. The Akatsuki 5 however, stunned the Aussies and gave the latter their first loss of the tournament.